You must make reservations at least 5 minutes in advance of the time at Craftsman Row Saloon. We are classified as "Modern Comfort Food". Freshly prepared very identifiable classic comfort dishes featuring "French Dip", "Lobster, Brisket or Classic Mac and Cheese", and "Roasted Chicken". Everything was great. Reserving is required. The food was good and it took a while but that's understandable. My only thing is I wish they had more vegetarian options. 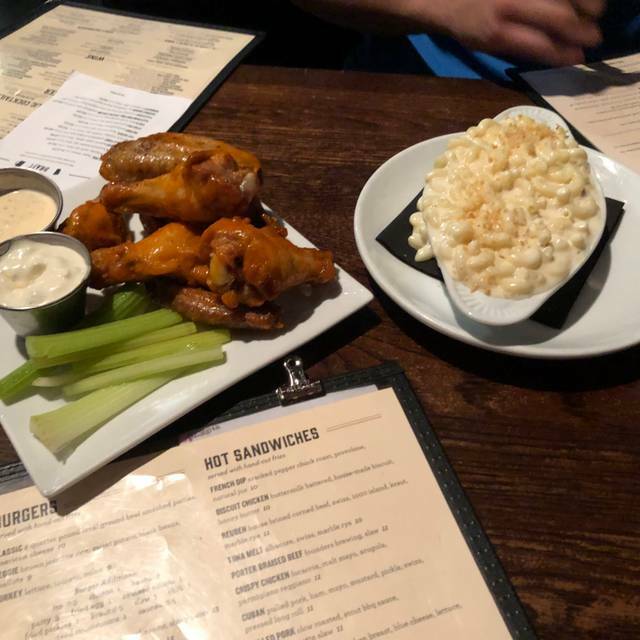 They have two or three options (Buffalo cauliflower which I highly recommend, the veggie burger which was huge and too two days to eat and the grilled cheese). The food was worth the price and was good quality. The service was great, our waitress was helpful and checked on us frequently. Other people on the staff were helpful as well recommending sauces and what to eat. I will keep coming back to this place! Crafstman Row Saloon was an awesome place to go for dinner! The burgers were delicious and so were the milkshakes. Our waiter was amazing, very friendly. 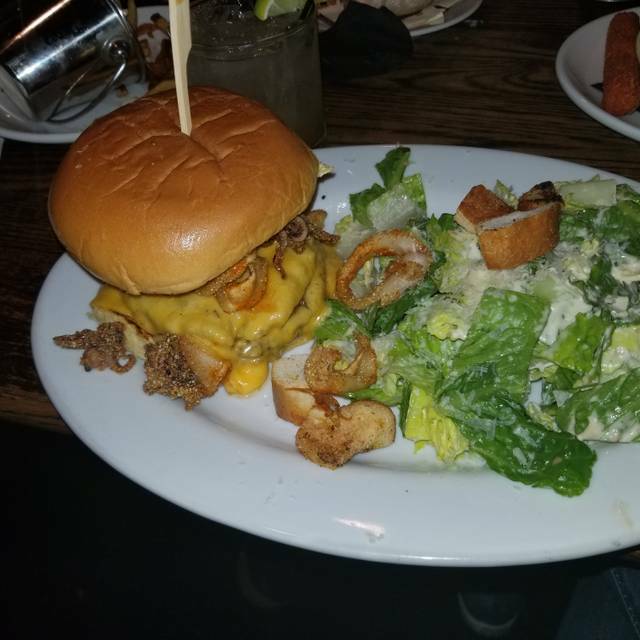 Would definitely go to Craftsman Row Saloon again! Food was delicious! Service was perfect! Will definitely be back! I was recommended to this place from my friend. Overall my dining experience was awesome. I would highly recommend this to friends and family. First time there. Service was slow. It took about 15-20 minutes to get our drinks. The bar wasn’t packed, the tables were not all seated. There were two bartenders, 3 servers and yet it seemed to be a challenge for the staff. As a former server, that should be enough staff to keep things turning over. The music was too loud and made it difficult to hold conversations. Less would have more. They seated 5 adults in a booth and it was uncomfortable, when one had to utilize the serving utensils. I felt squashed and had to angle myself to be able to cut my food. The food was delicious and I would return to try other things on the menu. I would order it to go. The food here is not very good. I’ve tried going here a few times because I live nearby but it’s always disappointing. 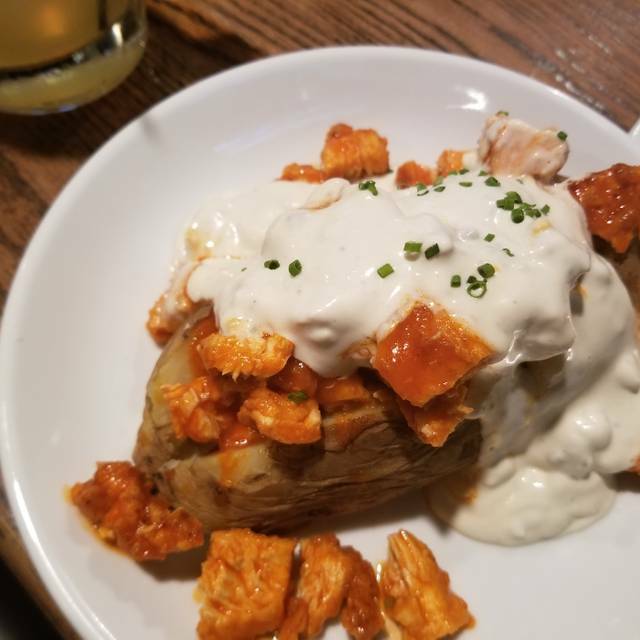 If visiting philly, I suggest going to any of the other restaurants in the area that have amazing food. We were short on time before a play at the Walnut. We ordered our drinks first. When they arrived, we had our dinner selections ready. Julian, our server, was amazing. He put in the orders right away... and we received our food in a very short time. Julian kept checking back to see if everything was OK. This place does it all pre-theater... great selection of drinks, high quality food and exemplary service! Craftsman Row was an awesome place to visit on our day trip. The food was really good. The service was equally as good if not better. Our servers name was Ryan , he was polite, attentive and on top of his gsme. Parking was easily accessible and within a block of the saloon. I'm definitely going back and would recommend from what I saw coming out of the kitchen , anything on the menu. End with a milkshake if you can, they're the best around. Believe me , I'm hard to impress. I give it 5 stars all around. Thanks for the experience. Nice vibe, friendly service. Food pretty good: brisket Mac n cheese is terrific, as was sandwich. The Reuben was a little greasy and fatty, just ok. French fries lukewarm and Bloody Mary had way too much horseradish. Overall, we did enjoy ourselves and would return. 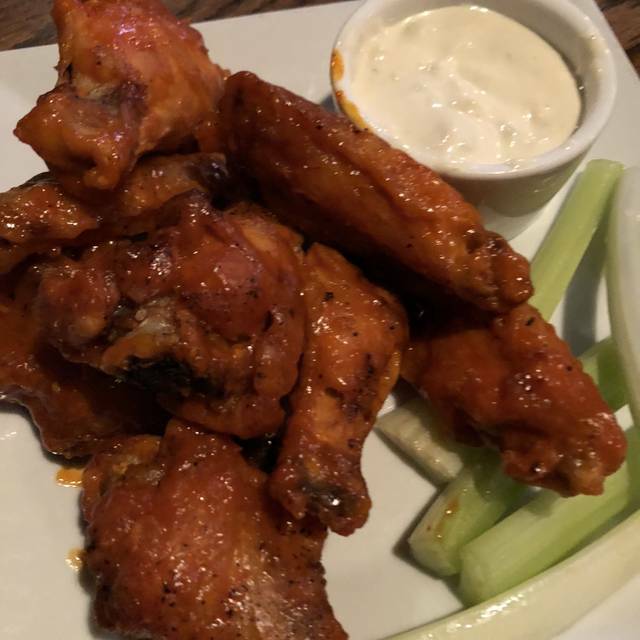 We like Craftsman Row Saloon because it is conveniently located near the Walnut Street Theater. It is one of our favorite spots for dinner before a play at the Walnut on a cold night. We both had the French onion soup which is excellent. Both our sandwiches, grilled cheese and crispy chicken were very hearty and tasty. We also share a shrimp cocktail which was very good. My only complaint is that the crispy chicken was a little dry around the edges. We had a great expo. Our waiter was friendly and informative. We all happened to order burgers and everyone enjoyed them. We will definitely be back. Stopped in before a Walnut Street Theater show. Craftsman Row offers a discount for theater attendees. We did not know this but our wonderful waiter asked us then took off our discount. Thank you! Menu was very good, food was excellent. Great drink menu. Noise level was very comfortable for dinnertime although it was a Wednesday night. We averaged $45 for dinner, drinks and dessert. We thought it was an excellent deal! A group of us went prior to going to Walnut Street Theater. Vibrant atmosphere and our burgers were oh so good. This Is my second time here and will definitely be coming back again. food was so good! i would 100% go back again so i can try other things. The food is good! What they don’t tell you is about the “secret” menu items that can be found on IG. That’s exciting if you’re on social media. At one point they had boozy milkshakes, that’s no the case any more. Still a good experience. I think the particular restaurant serves better food during lunch hours. The last two dinners here were lackluster and somewhat bland. Nothing special about their burgers or their steaks. My rib-eye was overcooked and tough, and the Valentine's Day special milkshake had a large slice of cake on top that tasted like something I could buy for cheaper at a grocery store. 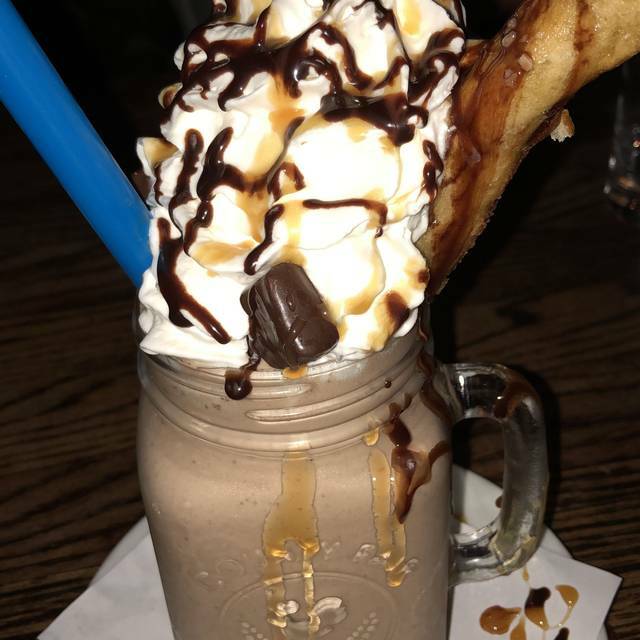 Their main everyday milkshakes, however, are phenomenal! 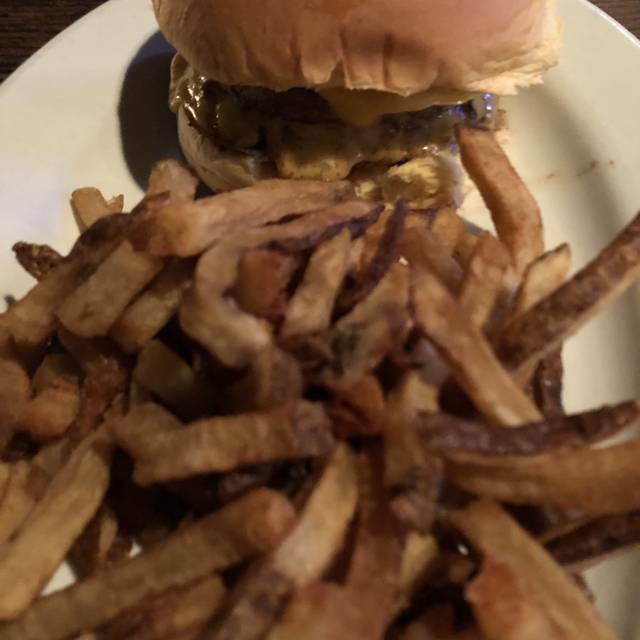 This place is a restaurant that I sometimes drive to from 3 hours away in Virginia with my s/o just to have their food and experience their old school 'saloon' environment. 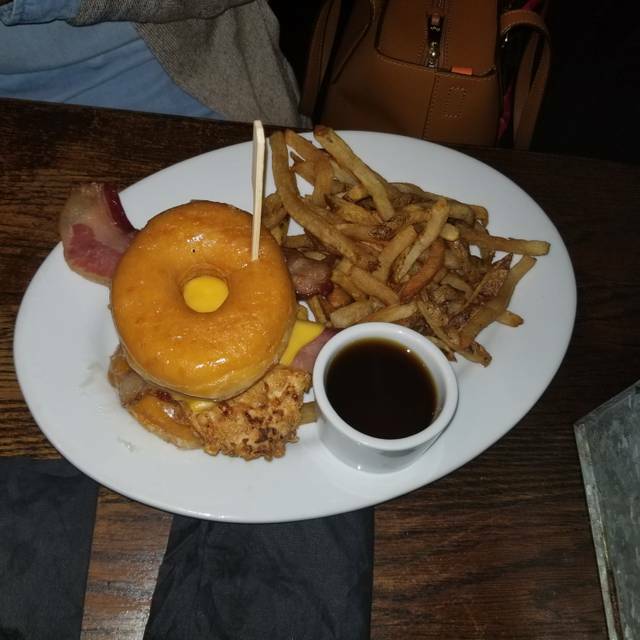 This latest dinner honestly turned me off from eating their again the next time I visit. 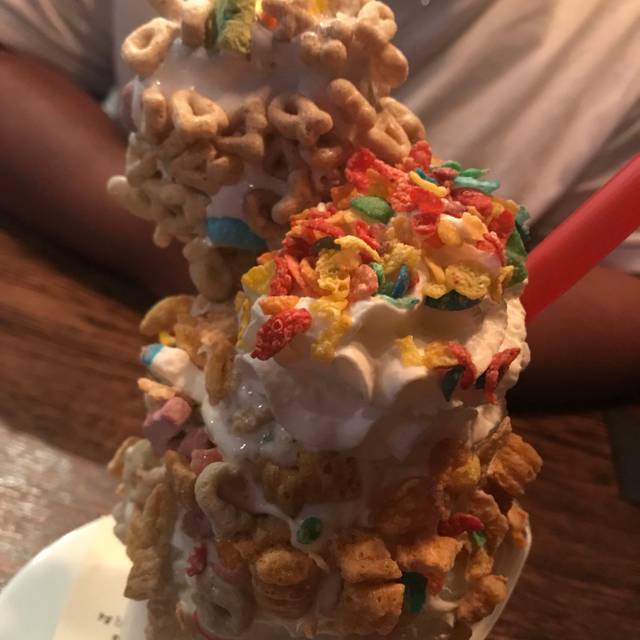 I'll definitely be looking for other places to try in Philly when it comes to food, but I'll probably come back for a milkshake. Craftsman’s row is a great tavern with a rustic feel. The food and service was amazing. My friend and I enjoyed the performance by Austin as well. We will definitely be back. Wow! Love this place. they were very accommodating. we have reservations for 6 pm and surprisingly we got there early and they had our table all ready. The food ROCKS we had buffalo cauliflower, calamari, and their homemade potato chip nachos as an appetizer. for the entree, we had burgers and Salmon BLT. everyone in our party raved how good the food and service is. They will differently be seeing more of us. The people were very welcoming and friendly, and the onion soup was very good. But.... both the chicken Capri sandwich and the Cobb salad were very ordinary. The chicken on both was dry, tough and overcooked. Disappointing quality for the price. The food is fantastic! The burgers all have two patties on them, all the portions in general are very large. It’s a little dark so if you have trouble seeing, definitely break out the phone lights. The food was all super delicious and allowed us to order off menu as well . Everyone was satisfied . I love this place. I brought a friend who is picky, and they really enjoyed the food. They have a little of everything. Good price, great food! Our waiter was Zummy he was great!! The food was amazing. We went for restaurant week. For appetizers for the Doritos mozzarella sticks, & cauliflower buffalo wings. For our second course we had lobster Mac & cheese (the best I’ve ever had!) & calamari. Thirds course I had the buffalo chicken sandwich & my husband and the salmon. Both were phenomenal. And for dessert I had the s’mores milkshake & my husband has the banana foster milkshake. We will defiantly be going back!! Dinner out with my 15 yo daughter and her girlfriends. Had to wait despite reservation, but it was very busy. 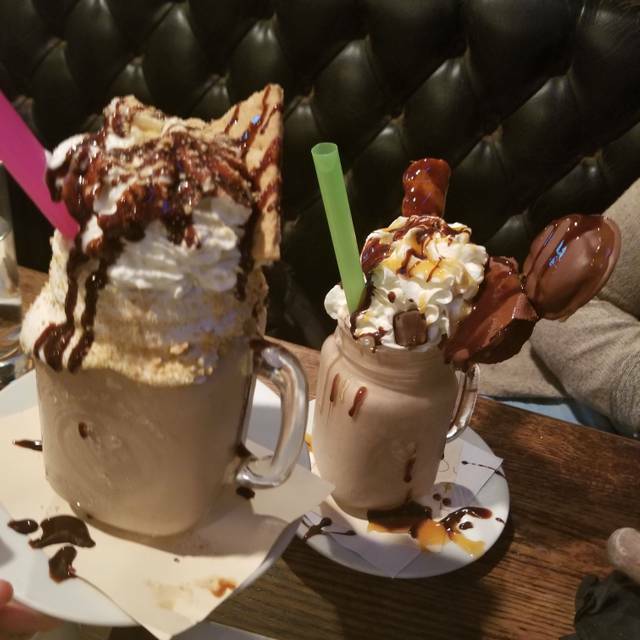 Food was good, not great, but the milkshakes were AWESOME. Service was very slow. Generally, high noise level - conversation can be challenging. Food usually pretty good and comes out in timely manner. We go before the theater. Tried for lunch during center city restaurant week- great food, fantastic service. Will come back again. Looking at the menu it seemed like we would like pretty much everything on the menu. In execution not so much. Burgers dry and over cooked. Mac and cheese runny. Fries soggy with no crispy bots to be found. Not a stellar meal by any approximation. Service was spotty at best. Doubt we will be back. The food was delicious, the service was amazing, fast, prompt, took very good care of my wife and I. We're a but of picky eaters and there were no issues with our requests and they were on point. I recommended the place to a friend and he went the next day and had an amazing experience as well. Ilook forward to the next visit. Great atmosphere that offers good food and great drinks.